Chloe Moretz's Pooch: Coolest Dog Ever? 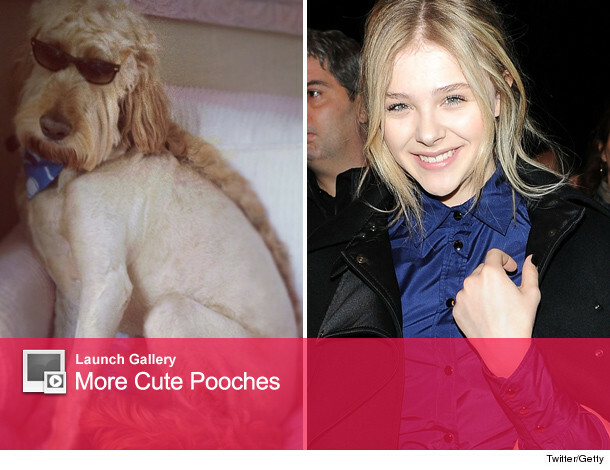 Chloe Grace Moretz's dog is bad to the bone! The "Dark Shadows" star posted a pic of her super-cool pooch Wednesday on Twitter -- showing Fuller with sunglasses, a bandana and a mohawk down his entire back ... kind of like Ryan Gosling's dog, George. Fuller is one of Chloe's three pooches and was named after director Bryan Fuller, who helmed one of her first big movies, "The Amityville Horror." He's a pretty cute pooch, isn't he? Check out more celebrity dogs in the gallery above!